HHI - Our Future | Tell us what you think! A sincere thank you to the people of the Hilton Head Island area for joining us in helping to shape our collective future. 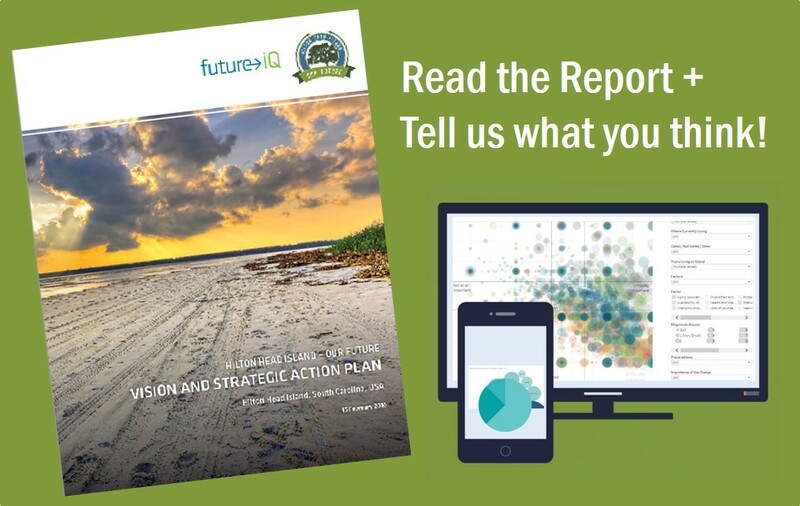 The report, called the Vision and Strategic Action Plan, along with all of the other project reports and the extensive data gathered are available online now at http://lab.future-iq.com/hhiourfuture/reports/. The future for Hilton Head Island is bright, and we look forward to where we are headed together!